It began with a collar but has grown so much. On Friday, a terrorist attack in Stockholm, Sweden, claimed the lives of four people and injured more than a dozen others. There is one victim, however, who isn't always mentioned in news reports about that tragic incident — a dog named Iggy who lost his life that day, too. But the people of Stockholm are making sure he is not forgotten. 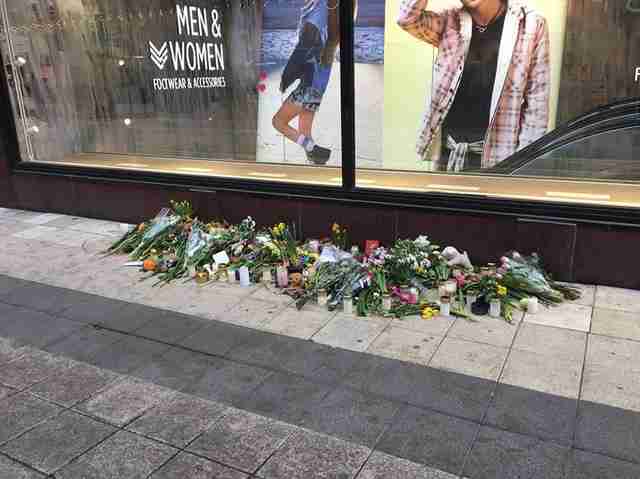 After a hijacked truck rammed into pedestrians on a crowded shopping street last week, makeshift memorials began to appear at the spot in remembrance of those who died. But Markus Krantz, who lives nearby, noticed that Iggy seemed to have been overlooked. "I saw no one put a flower or lit a candle in the place where the poor dog was killed during Friday's attack," Krantz wrote in a post online. "So we gave him our own little memorial. The collar belonged to my first dog, Ebba, who passed away this summer." 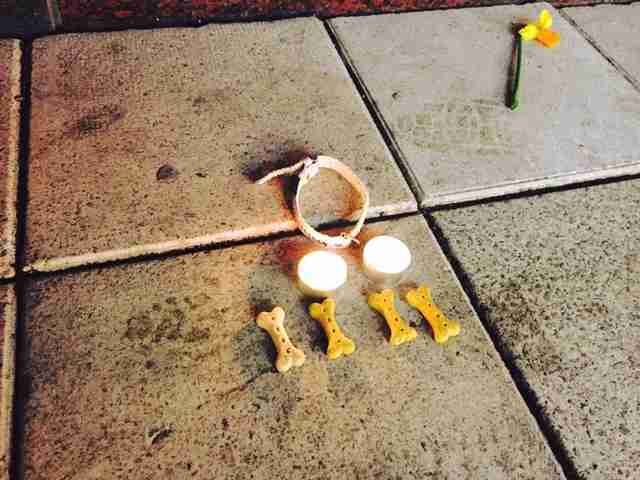 The touching tribute initially included candles and some dog treats, as well. But from there, it quickly began to grow. Before long, countless other mourners added to Iggy's memorial, paying their respects to a pup they likely never had the chance to meet themselves — but who's still very much worth remembering. 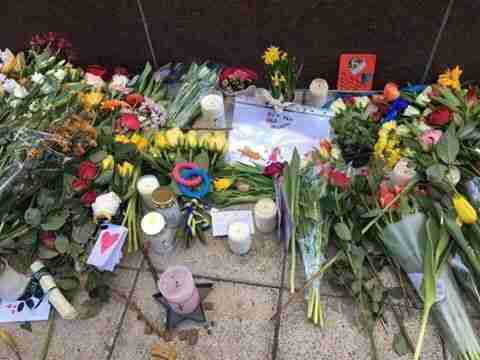 Included in the memorial are flowers, cards, dog toys and even a child's drawing for Iggy. 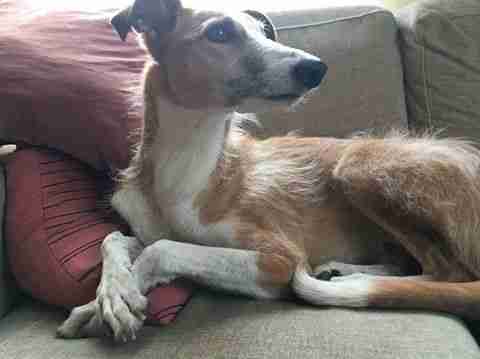 Dogs Aid, an Ireland-based rescue charity, has since confirmed that it had helped Iggy find a home in Sweden back in 2012; it's clear that, even years later, the group never forgot him. "R.I.P. beautiful, special boy. Run to the Bridge dear one, all of your Dogs Aid friends will be waiting for you. One hundred thousand stars will light your way," the group wrote on Facebook, adding: "Our thoughts are with IGGY'S family. They loved him so much and gave him the best life imaginable. His family would like privacy at this sad and traumatic time." 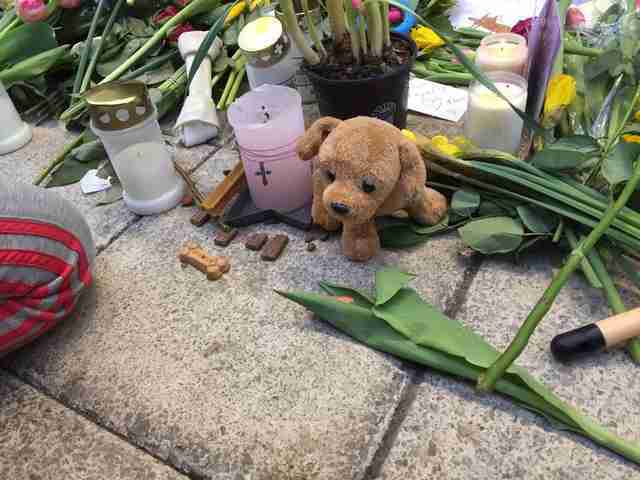 As the people of Sweden continue to memorialize all those who died in Friday's attack, it speaks to the nation's solidarity that a little dog has found a place in their hearts and prayers, too, amid so much human tragedy.